Surrounded by 7 acres of nature. Original mountain house built in 1955 by an architect from the Sarasota School of Architecture. Recently renovated but maintaining its original splendor. Hot tub. Swimming pool. Hammock. Deck. Movie Projector. 3 bedrooms. 1 full bathroom and one half bathroom. Private yet close to the lively town of Woodstock. Nature galore in its 360 degrees. Owned by a designer-producer couple. 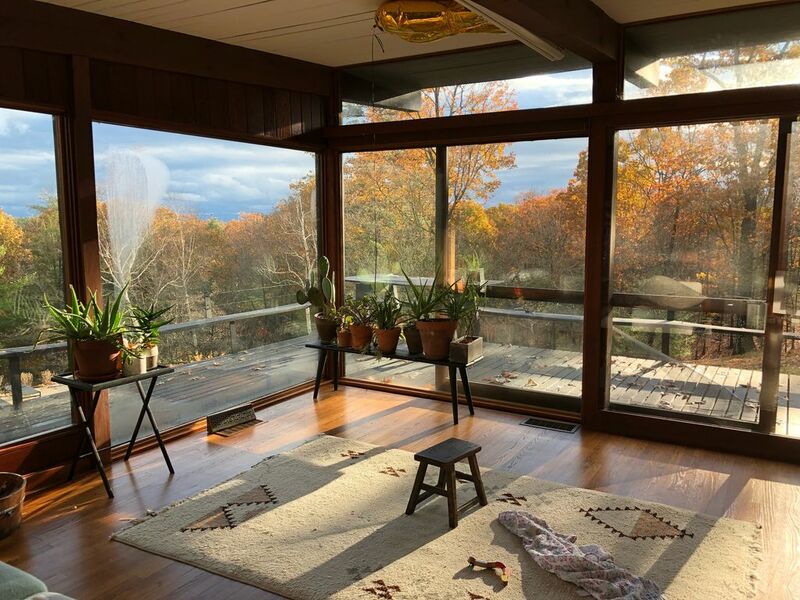 Gorgeous views of Overlook Mountain from the floor to ceilings glass windows throughout the house. Nestled in the mountains and also 5 minutes away by car from Woodstock with its organic markets, farm to table restaurants, film festivals, music performances, skiing, glorious hiking trails, etc.